It’s certainly totally gross for us, as humans, to imagine why in the world the family dog would want to sneak into the cat’s litter box and steal a few “munchies” but it happens in homes all around the world. Many dogs just love to eat cat poop! Coprophaghia, or the eating of feces, is a common behavior in many dogs. It’s seen more in puppies but some dogs never grow out of it. There have been many theories as to why dogs engage in this behavior and the reasons can include compulsive behavior, boredom or they may be getting some nutritive value from it. 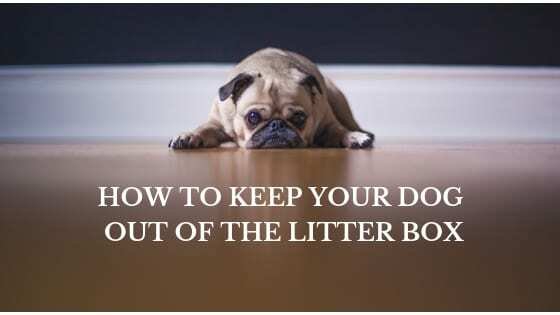 The purpose of this article isn’t to delve into dog behavior, but rather, to help you create a litter box set-up that makes it more difficult for the dog to access the cat’s waste while still making the box a convenient place for kitty. If your dog is engaging in the behavior, contact your veterinarian to make sure there isn’t a nutritional issue going on and also to discuss the possibility of any behavior problem being the underlying cause (boredom, compulsive behavior, etc. ), especially if your dog is eating his own feces or the feces of other dogs as well. Your veterinarian may give you a taste deterrent product and/or offer some dog training advice. 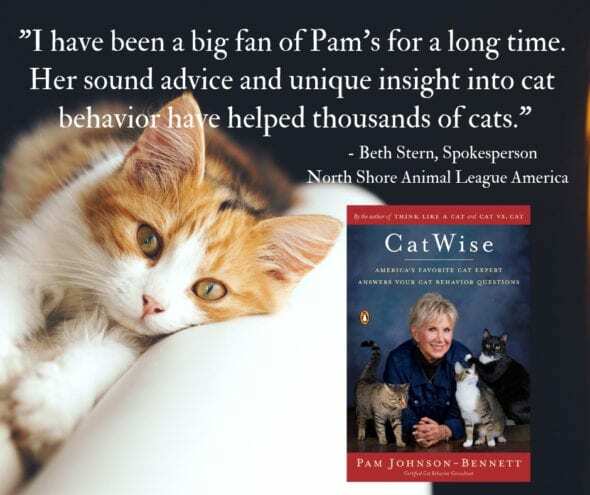 Depending on the severity of the problem, you may also be referred to a dog behavior expert. When it comes to the dog eating a cat’s feces, it could be caused by boredom, it could be a playful behavior (gross, but playful), or it could be that the cat feces holds nutritive value. Cat food is higher in protein and fat than dog food so the waste may have taste appeal. 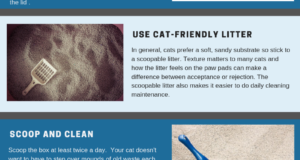 The litter box is basically a pretty sacred place from your cat’s perspective. If she approaches the box and finds shreds of feces strewn across the carpet or worse, finds the dog with his head in the box, it won’t create a comforting feeling. The litter box could also become an unsafe place as well, if the dog shoves his nose in there whenever he pleases. He may begin to follow your cat into the box in the hope of receiving a fresh snack. If you have a covered litter box set-up then the cat may feel trapped inside if the dog stands right at the entrance. Your cat may decide to find other toileting accommodations and chances are, you won’t like the places she chooses.